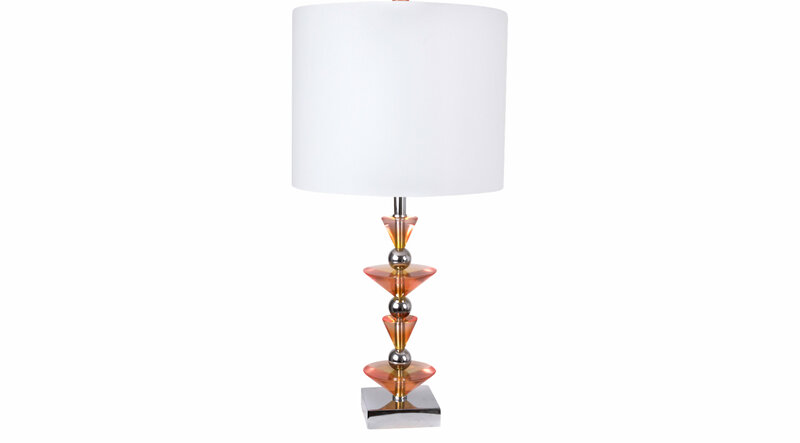 Orange accents rising up from the base of the Gallier table lamp creates an elegant lamp that would rest perfectly on end tables in your bedroom or living room. It will light up your living space for reading or enjoying post-sundown gatherings with friends. The modern and contemporary lamp's base is finished in glossy crown and its crown, a round serpentine shade, comes in an attractive brown.